The sleek look of this stellar bracelet is designed for John Hardy's Batu Classic Chain collection. Chain link beads are carved from smooth black agate and are fitted together like a link chain. The sterling silver station not only acts as the clasp, but also provides an artistic touch as it is hand carved with the classic chain motif. 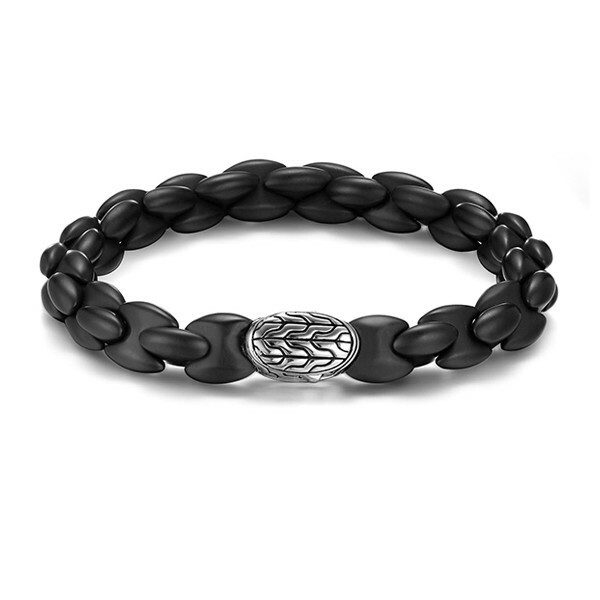 Wear this great John Hardy bracelet solo or with other bracelets for a cool layered look.